You all know I love my job. 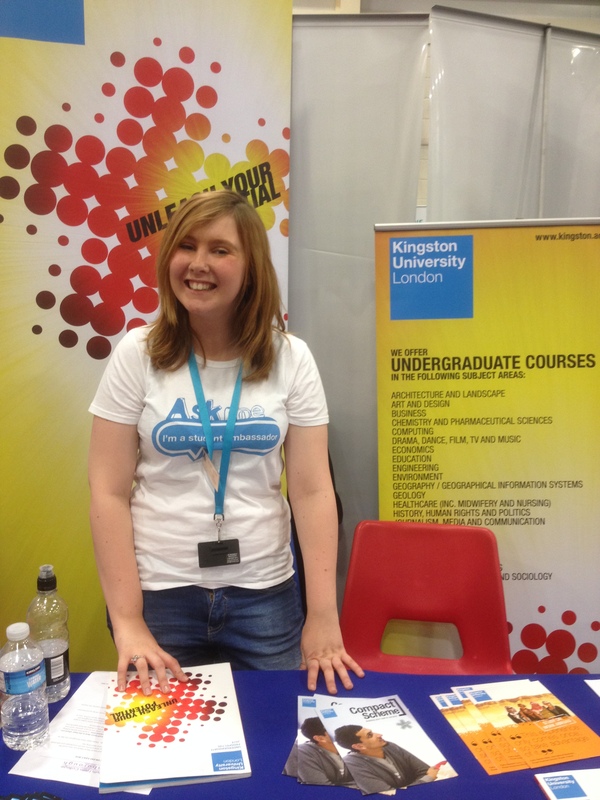 Today I got to go back to my old college and promote KU to students. As usual I had a blast, I got to talk to a lot of students I’d never met and there was a big interest for Kingston. The stalls around us were friendly too and the free food was a plus. Ok so it was a bit off when some people didn’t recognise me…especially when they’d known me before and through my time at college but that didn’t matter because one of my old college friends was also working for her university! The best thing was going to see one of my old English teachers and talking to her about how I’m getting on and generally discussing uni. It was nice to catch up and I felt really proud of myself too.